It’s a horrible feeling looking at your hairbrush and seeing just how many hairs you’ve shed into it. It’s pretty disheartening to be honest. Then there’s the days when you just need to run your fingers through your hair and it breaks…Well, first off let me start by saying that’s it’s normal for you to lose some of your hair. In fact, we shed between 50-100 strands of hair per day. On the other hand, it isn’t normal for your hair to break constantly, it’s actually a really bad sign and shows that your hair is damaged for one reason or another. 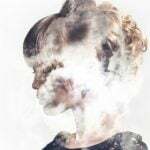 Don’t panic though, while hair constantly breaking may mean your hair isn’t in tip top condition right now it doesn’t mean it has to stay that way. It just means your hair has been neglected for one reason or another (often in ways we didn’t even know were possible) and needs a little TLC to get back to being fabulous. To help your locks look their best, here’s some tips on how to stop hair breaking, how to repair it once it does and why hair breaks in the first place. 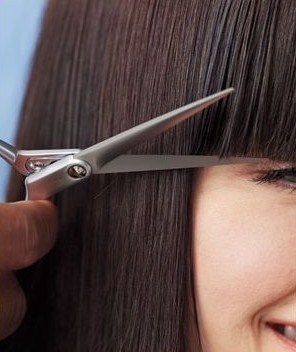 The first step in stopping hair from breaking is ensuring your get it trimmed every 6-8 weeks. I know, I know, we all dread the click of the stylists scissors and the sight of our beloved hair on the salon floor but I’m afraid it has to be done. Regular trims will help to nip off those dry ends and strengthen your hair overall. The more frequently you get your hair trimmed, the less you’ll need to get taken off too. Conditioning your hair regularly is a must if you want to stop your hair from drying out and breaking. The best types of conditioner for your hair are ones that are made of natural ingredients so be sure to read the bottle before you buy. Also, look for a conditioner that’s made for your hair. There will be different conditioners for curly, wavy, thin, thick or frizzy hair in any good retailer so find one that’s suited to you to achieve the best benefits. As well as stopping your hair from drying out in the first place this will also help to repair some of those damaged ends. Relaxation is key for helping your hair grow healthily. I know things might be though right now, you might have a busy social life and a stressful work life but remember to slow things down now and again and relax. 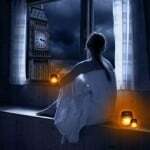 If you get too stressed and don’t take time to relax and think about you, soon enough you’ll be loosing sleep. Sleep is vital for healthy hair so, even in those stressful times, try to get a good nights slumber. That’s why it’s called beauty sleep after all! Make sure you take a little time each day for you to really wind down too. Stress is bad for your body in all kinds of ways, not just for your hair. Look after yourself, you deserve it. 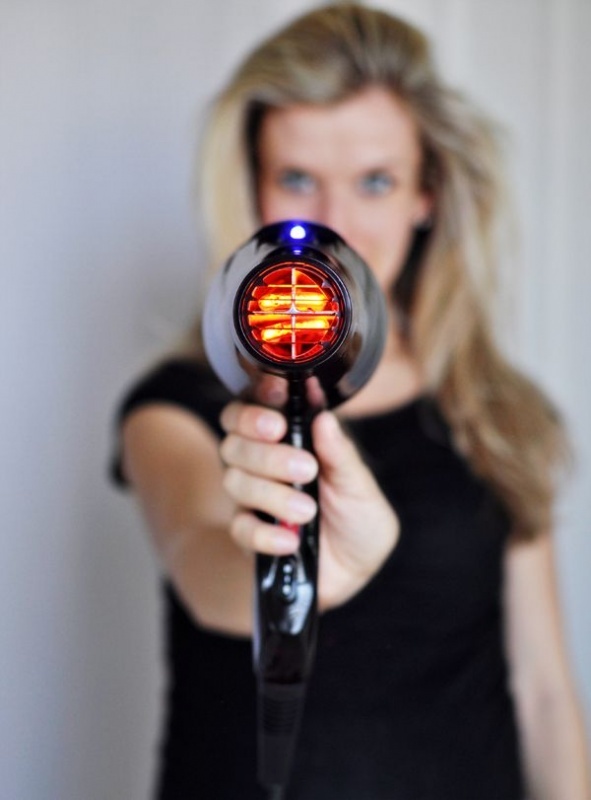 I know, I know, we all love our curling irons and straighteners but in reality they’re all terrible for our hair. All that heat is never a good thing and pretty quickly will start to dry out your hair causing split ends and breakage. I don’t care how good for your hair your stylers claim to be, they’re not. Sure, they’re better than what we had a few years ago but heat is still bad. Try and limit yourself to only styling your hair a few times a week instead of daily and make sure you use all those healing hair products when you do. Give your hair a few days to heal in between heat treatments. 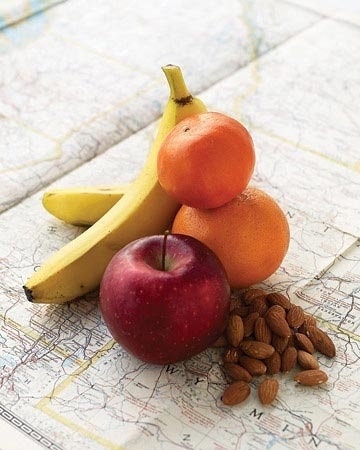 I’m sure we all know that having a healthy diet has great advantages in all aspects of life. The same is true when it comes to hair. A good, well balanced diet will strengthen and repair your hair as well as adding a lovely shine to it. Try to only eat foods that are high in sugar in moderation and focus on eating plenty of foods that are rich in protein – salmon, nuts and red kidney beans will work wonders. And, of course, don’t forget to drink at least eight glasses of water per day. It really is a miracle drink! You probably think that damaged, broken hair needs extra care and that caring for it means keeping it clean. Sadly, that couldn’t be more wrong. Washing your hair daily is one of the worst things you can do for your hair. A lot of shampoos have harsh chemicals in them than only damage your hair more so try and keep washing your hair to every other day. Step Away From The Brush! As beautiful as your hair can look once it’s had a brush run through it, your hair will not thank you for brushing or combing it too often. The constant tugging at your hair will only break it more and will also dry it out. Only brush your hair when you really need to, not every time you pass a mirror or the wind blows. Yes, we already covered diet but it may be worth assessing what vitamins your body is taking in. If you’re lacking in vitamin C or D then this may be a reason for your hair breaking. This may be something to discuss with your doctor to see how you can improve – you may find it will improve your overall health too. Perms and chemical straightening may look fab once done but they’re terrible for your hair. They dry it our almost instantly and if you get the style repeatedly things will only get worse. Sure, the treatments they use now aren’t as harmful as they were thirty years ago but they’re still not natural and they’re still damaging to your hair. If you insist on getting them, get one as infrequently as possible. So, you’ve accepted that blowdrying your hair isn’t good for you so what’s the alternative when you step out of a shower and your hair is dripping everywhere? Towel drying of course! Well, I hate to be a spoil sport but this isn’t always good for your hair either. If you’re too rough it only makes sense that strands of hair are going to break, causing split ends and frizzy hair. Instead, be gentle with your hair and squeeze the water downwards instead of rubbing your hair. Make sure and take your time too – think about it, would you rather have broken, damaged hair and get places quicker or beautiful, healthy hair and arrive a minute or two late? So we’re back to brushing again but trust me this point is vital if you want to keep your hair looking sleek and healthy. 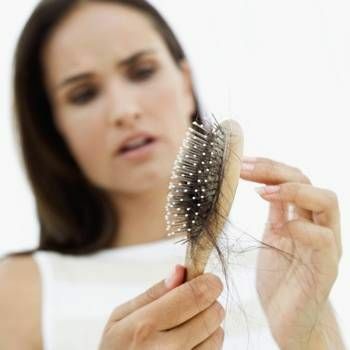 Brushing try hair causes the hair follicles to stretch which ultimately reduces the strength of your hair. Lack of strength as I’m sure you’ve guessed is a key cause of hair breaking. Instead, towel dry your hair gently and then be patient as it drys out completely. It’s a bit of a hassle but you’ll thank me for it and you’ll love the effect it has on your hair. It’s all good and well going out and spending lots of money on one product or another to strengthen your hair but is it really worth it? Personally, I say no! They’re all overpriced and a lot of them are no better than a bottle on conditioner. As one of the main reasons hair breaks is because it’s dry then try checking out another article of mine 10 Home Remedies For Dry Hair. It’s full of helpful tips on how to regain moisture in your hair which will in turn help to give it strength. If you’ve tried all of this and are still worried about your hair then it may be worth taking a trip down to your local salon and asking what your stylist recommends. Remember that they see lots of people every day and they see all types of hair coming through the door. They’re professionals for a reason so they’ll be able to give you lots of helpful and friendly advice. They’ll probably ask you if you’ve tried all of the things we’ve already mentioned but at least you’ll have a bit of peace of mind and they may also be able to recommend the latest products which may also help. I hope all these tips have helped you, they certainly helped me when I first stumbled across them. It can be so frustrating having dry hair but you needn’t fear that it’ll be like that forever. All your hair needs is a little TLC and it will be on the mend and breaking less in no time at all. If you’ve got any other tips and tricks to stop hair breakage then me and all the readers of Her Interest would love to hear them. Please comment and share all your fabulous ideas! Or, if you simply found this article useful, I’d love to know! It’s a pleasure to connect with my readers so get in touch! I wish you the best of luck when trying out all these tips. Remember, there’s no one size fits all when it comes to hair care so don’t despair if the first cure you try fails. Thank you for your comment. We always appreciate our readers sharing their ideas and words. Yup! 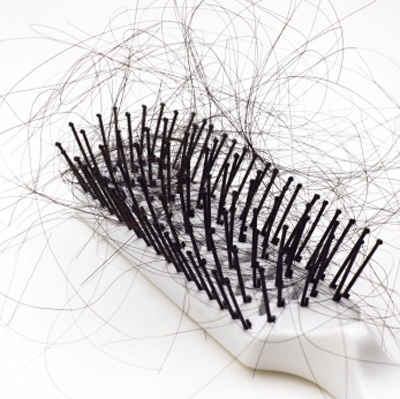 Are you currently having problems with hair breakage? Which tips in the article are you going to use to stop it?